Description: This map was created by FCIT and shows the waterways of Highlands County. All major rivers, streams, creeks, lakes, and swamps are labeled. 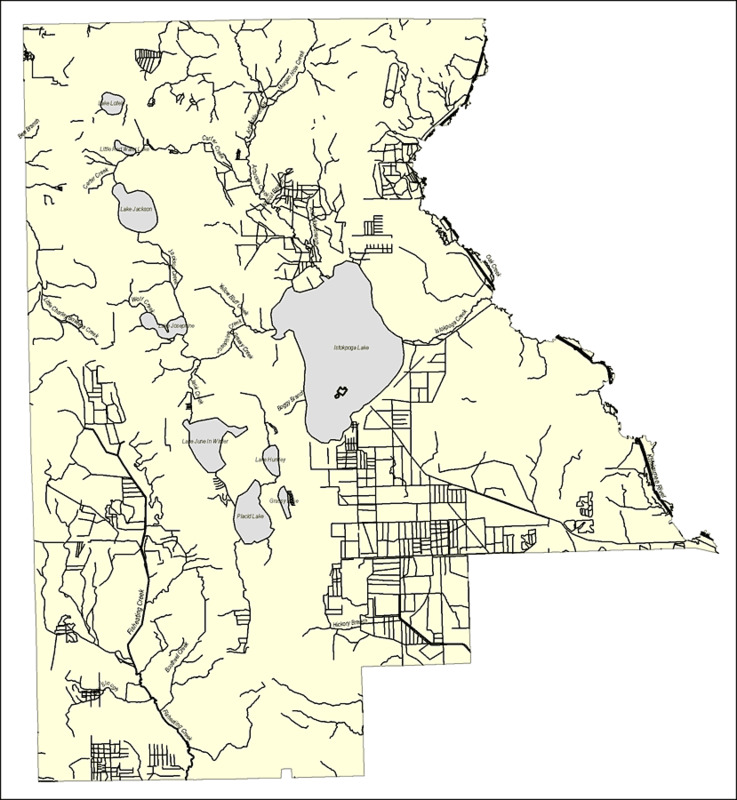 This map features Morgan Hole Creek, Arbuckle Creek, Carter Creek, Wildcat Branch, Arbuckle Branch, Oack Creek, Istokpoga Creek, Istokpoga Lake, Grassy Creek, Josephine Creek, Yellow Bluff Creek, Lake Josephine, Wolf Creek, Little Charley Bowlegs Creek, Jackson Creek, Lake Creek, Little Red Water Lake, Lake Lotela, Bee Branch, Jack Creek, Lake June In Winter, Lake Huntley, Grassy Lake, Placid Lake, Hickory Branch, Fisheating Creek, Bootheel Creek, Joe Slough, Boggy Branch, and the Kissimmee River.